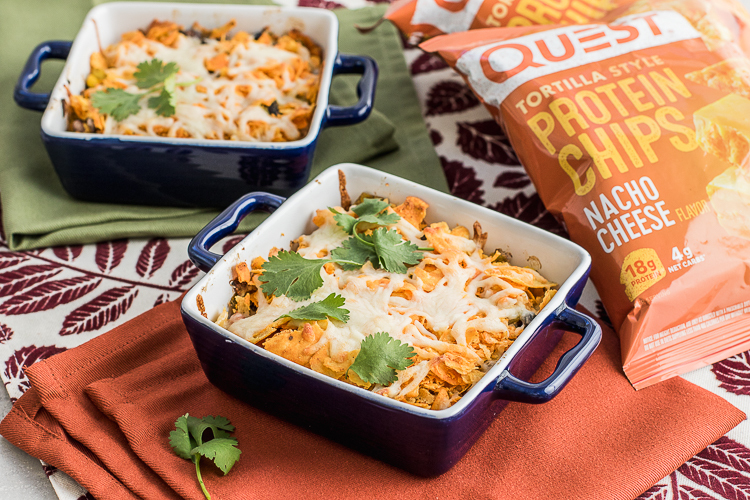 The Casserole has perfected the art of “toss a bunch of stuff in a dish and bake it.” This recipe is no exception. 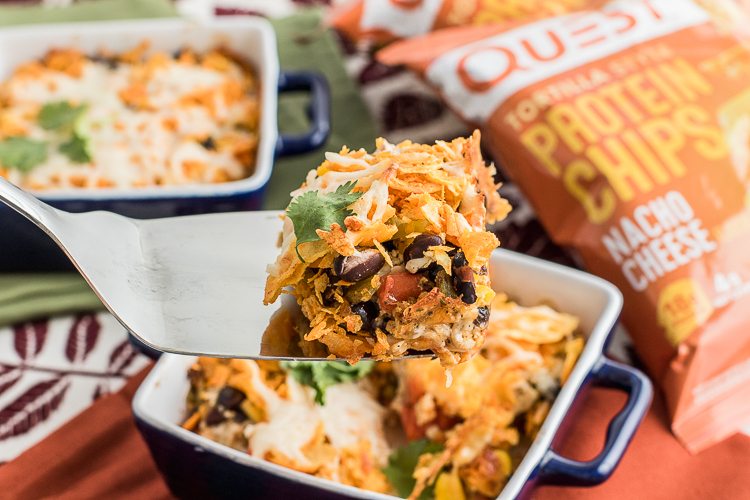 Only, for our recipe, we’ve come up with a fun way to make your Nacho Cheese Tortilla Style Protein chips a savory crust and cheesy topping. This super-simple recipe doesn’t take a whole lot of ingredients, feeds up to eight people and you can bust out a few reps after eating it because it’s got 9g of protein per serving. Preheat the oven to 350 degrees F and prepare two 5×5 baking dishes or one 9×9 baking dish with non-stick spray. Crush the chips in the bags and distribute one of the bags between the two baking dishes and set aside the rest of the chips for later. In a mixing bowl, stir together the shredded turkey, beans, corn, diced tomatoes, green chilies, 1/4 cup shredded mozzarella cheese, sour cream, garlic powder, chili powder and salt until combined. Distribute the mixture over the crushed chips. Remove and top with remaining chips and mozzarella cheese and continue baking for 5-6 minutes or until cheese is melted.